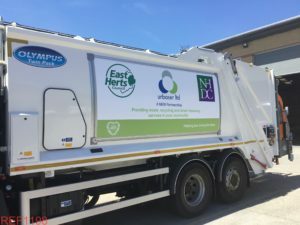 Following the successful installation of EPIC’s Kwizkip system to the Urbaser managed fleet of vehicles within Bournemouth Council, they have extended their partnership with EPIC to include the new vehicles in East Hertfordshire Council and North Hertfordshire Council. Working alongside hire experts Riverside Truck Rental, EPIC Media Group have installed their patented frame and graphic system onto the new fleet of vehicles. Currently on 15 vehicles it will eventually be rolled out across the fleet of 42 vehicles. 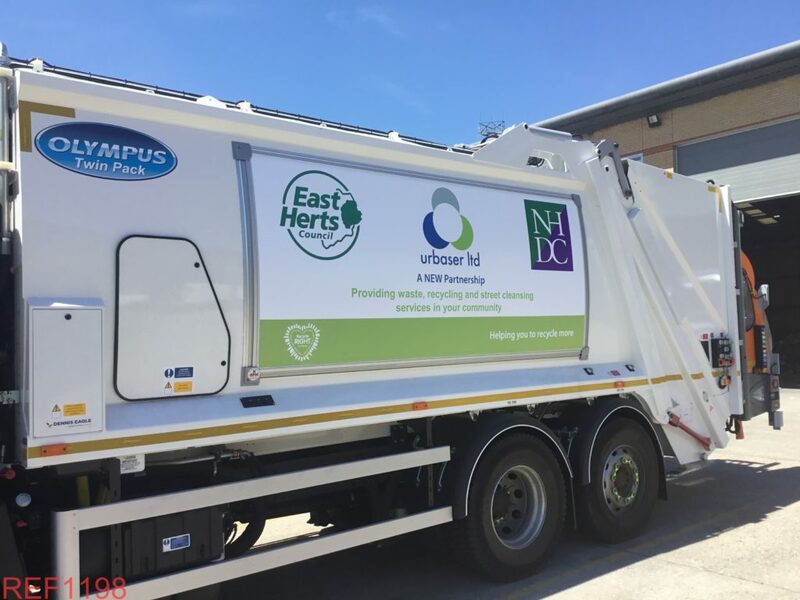 The current graphics show the new partnership between Urbaser and East Herts and North Herts Councils; however, in time these will be replaced with a more recycling focused message. Speaking about the growing relationship between Urbaser and EPIC, Kevin Murton, Managing Director at EPIC Media Group commented “Having spent over 15 years being the preferred supplier to Biffa Municipal, EPIC Media Group were the natural choice for Urbaser when they were looking for a one stop shop for their vehicle graphic needs.” Murton continued “During our initial contract in Bournemouth EPIC proved the robustness and longevity of our graphics, alongside our commitment to always putting the customer first meant that we were the only choice for their new contract with East Herts Council”. Murton concluded “We are looking forward to working closely with Urbaser on more contracts in the very near future and thank them for trusting EPIC to supply their vehicle graphics”.